Outstanding Dance Educator (Pre-K through 12): This award acknowledges a stellar dance educator from the Pre-K - 12 sector of the membership. The recipient of this award will have an established record of teaching dance in an educational setting. Outstanding Dance Educator (Private Sector): This award acknowledges a stellar dance educator from the Private Sector of the membership. The recipient of this award will have an established record of teaching dance in an educational setting in the Private Sector. Outstanding Dance Educator (Teaching Artist): This award acknowledges a stellar dance educator from the Teaching Artist sector of the membership. The recipient of this award will have an established record of teaching dance as a teaching artists through an arts organization. Outstanding Dance Educator (Post-Secondary): This award acknowledges a stellar dance educator from the Post Secondary sector from the membership. The recipient of this award will have an established record of teaching dance in a post-secondary setting. 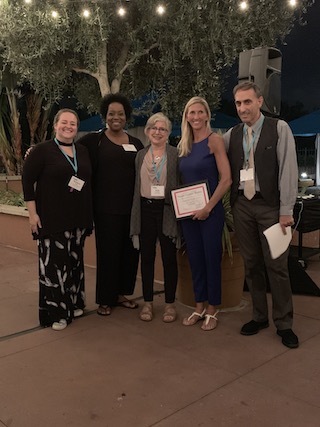 Outstanding Leadership: This award is given to an individual who has demonstrated excellence in creating ideas for programs, curriculums, and/or projects that have had a significant impact on the field of dance education and who has demonstrated leadership on a national level. Additionally, the recipient of this award should inspire and cultivate vision and leadership in others. 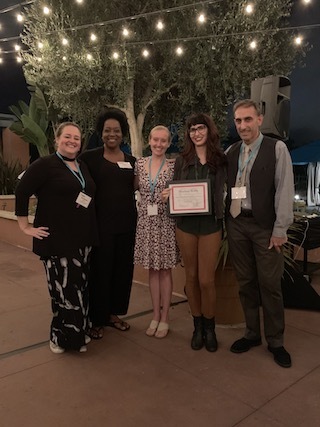 Outstanding Dance Education Researcher: This award recognizes an individual who has made a unique contribution to the field of dance education through creative and/or scholarly research. 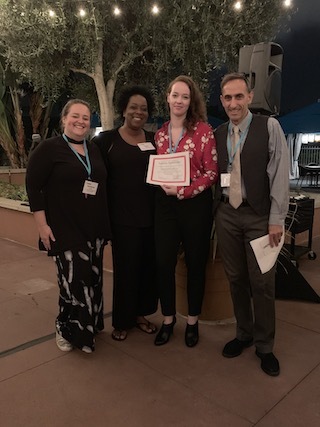 The recipient of this award should cultivate the importance of scholarly and creative research throughout the field of dance education. Impact and contributions of lifetime achievements to the field of dance. Advocacy for the field of dance and dance in education at the national and/or international level. Innovativeness of contributions to the arts and dance education. Recognition by peers as an influential figure in the dance or dance education communities. 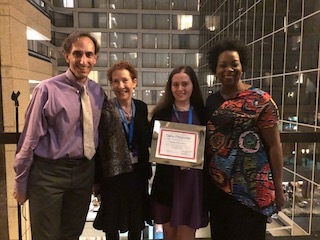 Diana Domoracki Kisto Award: In honor and memory of former board member and inspirational Dance Educator, Diana Domoracki-Kisto, the NYSDEA board has established a grant to annually fund a Pre-K-12 Dance Educator toward the cost of attending the NDEO conference. Any NYSDEA PreK-12 Dance Educator may apply. 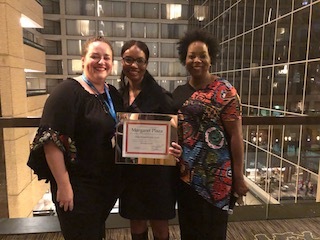 NYSDEA Undergraduate and Graduate Student Scholarships: NYSDEA wishes to recognize and encourage student participation in the dance education community by providing monetary support to undergraduate and graduate students to attend the Annual NDEO Conference. Nominees must be NDEO/NYSDEA members in good standing. Nominators do not need to be members. All nominees must have consistent NDEO/NYSDEA membership of five years or more prior to nomination. Submit all required information required via email, including the nomination form, by the published deadline. Award recipients should expect to attend the annual NDEO conference and NYSDEA reception with awards presentation. If the nominator is able to attend, s/he may be asked to present the award. Special consideration may be given to candidates who have contributed time and energy on behalf of NDEO/NYSDEA. Nominations will not be held over for submission the following year. Only the required and suggested materials will be reviewed. Additional materials will not be forwarded to the evaluation committee. This award acknowledges a stellar dance educator from the Pre-K - 12 sector of the membership. The recipient of this award will have an established record of teaching dance in an educational setting. 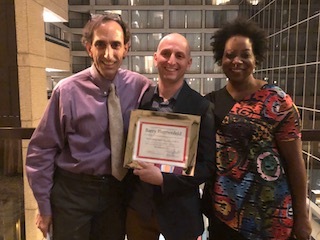 This award recognizes an individual who has made a unique contribution to the field of dance education through creative and/or scholarly research. 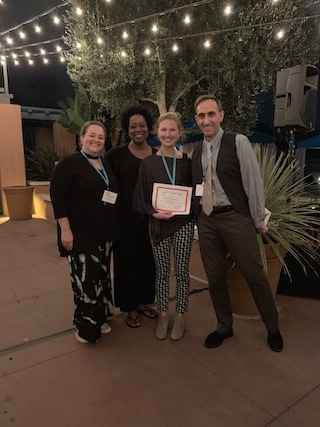 The recipient of this award cultivates the importance of scholarly and creative research throughout the field of dance education. 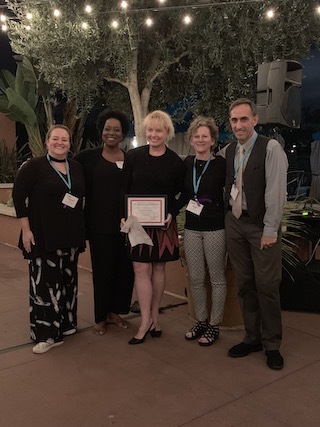 This award is given to an individual who has demonstrated excellence in creating ideas for programs, curriculums, and/or projects that have had a significant impact on the field of dance education and who has demonstrated leadership on a national level. Additionally, the recipient of this award inspires and cultivates vision and leadership in others. NYSDEA wishes to recognize and encourage student participation in the dance education community by supporting undergraduate and graduate students at the 2018 NYSDEA Conference. Nominees must have consistent NDEO/NYSDEA membership of five years or more prior to nomination. Student Nominees must be a current member of NDEO/NYSDEA. Award recipients are expected to attend the annual NDEO conference and NYSDEA reception with awards presentation. If the nominator is able to attend, s/he may be asked to present the award. This year the NDEO conference is in San Diego from October 4-7. The NYSDEA Awards ceremony is on Saturday, October 6th. Thank you all for your commitment to dance education! This award acknowledges a stellar dance educator from the Teaching Artist sector of the membership. The recipient of this award will have an established record of teaching dance as a teaching artists through an arts organization. 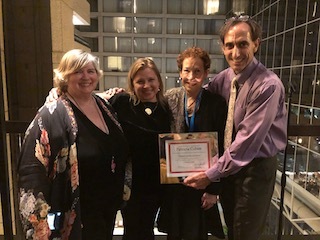 In honor and memory of former board member and inspirational Dance Educator, Diana Domoracki-Kisto, the NYSDEA board has established a grant to annually fund a Pre-K-12 Dance Educator the amount of $500 to be used toward the cost of attending the NDEO conference. 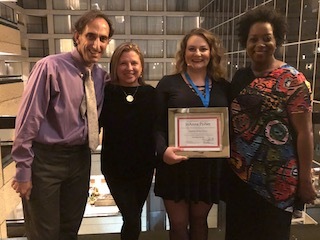 By doing so this award acknowledges the contributions of this dance educator to the field of dance education and for furthering the mission of NYSDEA by their participation in local and/or statewide initiatives. The recipient of this award will also have an established record of teaching dance in an educational setting. NYSDEA wishes to recognize and encourage student participation in the dance education community by supporting undergraduate and graduate students at the 2017 NYSDEA Conference. This award is given at the discretion of the sitting President. 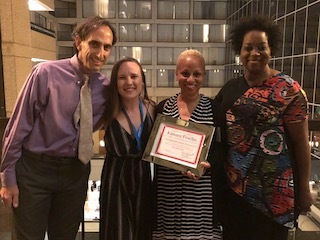 It’s intent is to honor and highlight the achievements and contributions of a particular individual who has shown exemplary leadership, scholarship and/or artistry, and philanthropy or service, to dance education over the years and specifically to NYSDEA/NDEO. NYSDEA offers a number of scholarships and awards for New York State dance educators and dance education students.